Tell me if you have seen this tape before. There is a civil war in a Middle Eastern state. The Saudis claim that the guilty party in the civil war is Iran’s lackey and immediately swear to support the opposition. The United States gives the go ahead for intervention by the gulf monarchies. The monarchies realize that they cannot deploy ground forces and decide to fight via proxies. Meanwhile, Iran decides to counter Saudi influence by ratcheting up its support for whosoever has now become Shi’a. And it all goes downhill from there. The decision to delegate the arming of the rebellion in Syria to the gulf monarchies was the worst foreign policy mistake of the Obama administration. Even the groups that were not salafi pretended to be so in order to get their hands on the arms and money flowing from coffers in the gulf. No wonder that the moderate opposition evaporated. Iran answered by ratcheting up support for the Assad regime. Until the outbreak of the Syrian conflict, the Assad regime wasn’t considered Alawi’; and the Alawi’, in turn, were not really considered Shi’a. With the sectarian temperature regaining the highs of the eighties, the Assad government became Alawi’, and the Alawi’ ‘became Shi’a’. The dangers of the ‘bait and bleed’ strategy that McDonough had persuaded Obama to follow against the advice of the State Department, the CIA, and the Pentagon, were foreseen by, among others, the Policy Tensor. The United States has been fighting against Al Qaeda in the Arabian Peninsula (AQAP) in Yemen for a decade. Yemen has a weak state. As a result, Saudi Arabia, Egypt, Iran, the Soviet Union, Israel, the UK and the US have all bankrolled and armed actors in Yemen at one point or another since the second world war. When the wave of Arab uprisings hit Yemen in 2011, Saleh, a US client, was quick to lose control of the central government. The US repeated the trick it had already tried in Egypt—to replace the guy with his second-in-command. In Egypt, US efforts to install Omar Suleiman had failed. But in Yemen, they were successful. Hadi was elected as the only candidate on the ballot in February 2012. The Houthis constitute 40 per cent of Yemen’s populace. This tribal community of ten million controls the hills and has historically escaped control from the coastal cities plugged into the maritime world. To cut a long story short: Hadi’s campaign to subjugate the Houthis failed. Instead, the Houthis took over the capital so that our man had to flee. The Houthis, Shi’a or not, have gained tremendous legitimacy in the eyes of the general khat-chewing populace. Indeed, the Houthi movement is the most formidable political force in Yemeni society. It is hard to see how they can be defeated from the air. If the invaders provide sufficient ground forces, perhaps the Houthis can be pushed back to the hills. But are the monarchies in a position to send an army with the capability to pacify even the low-lying areas? And even if sufficient force is forthcoming for that limited aim, it will only prolong the civil war. There is not an iota of a chance that the Houthis can be defeated at home, in the hills. A legitimate central government that has authority over anything but a rump state in Yemen is impossible without political accommodation of the Houthis. On the other hand, if the monarchies bombing Yemen now fail to provide sufficient ground troops, they will be tempted to bankroll Salafist-Jihadist militias to secure their aims; just as they did in Syria. 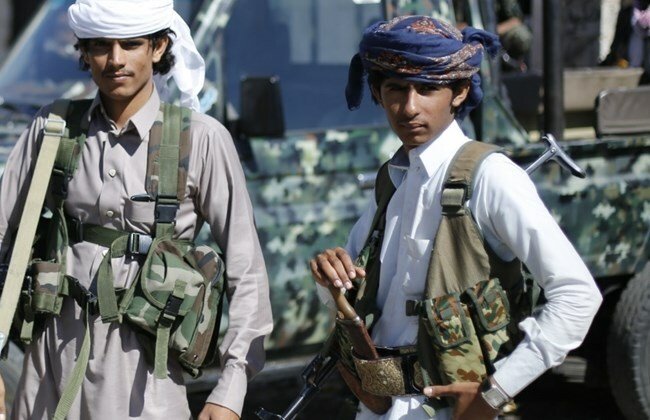 A Saudi invasion of Yemen opens up a new front in the proxy war with Iran. Obama is in the process of finalizing a deal with Iran that would bring the latter largely back in the fold. He should reconsider his decision to support the Saudis’ action in Yemen. Political accommodation of the Houthis is quite attractive to the United States. A Houthi-led government will serve as a bulwark against AQAP. A lower sectarian temperature, due to the absence of a proxy war between Iran and Saudi Arabia in Yemen, will help in coordinating the effort to defeat ISIS. If the United States continues to support the Saudi-led invasion against the Houthis, Yemen will not see stability in the foreseeable future. Mark my words: Baiting Iran in Yemen will prove as beneficial to the United States as baiting it in Syria. By switching to accommodate the Houthis now, the United States will able to secure a not-bad outcome: a regime that can hope for stability and one that will be a natural ally in the fight against Salafist Jihadism, even if it never manages to rule the entire country. Obama has demonstrated the ability to shift gears. He has shifted to a policy of rapprochement with Iran, as advocated by the Policy Tensor. Only yesterday, the United States started bombing Tikrit to help with the stalled campaign to oust ISIS from the town of Saddam’s birth. (It is quite difficult to retake urban territory from a skilled adversary with modern weapons.) Kerry has clearly signaled that Assad can stay in Syria. A nuclear deal is now the baseline scenario; thanks to Bibi’s antics. Perhaps the administration deserves better than a B. But in order to earn that A-, Obama has to show some spine and get the Saudis to accommodate the Houthis.